OCEAN Mushure has allayed fears that he missed Sunday’s friendly matches in protest over unpaid dues. 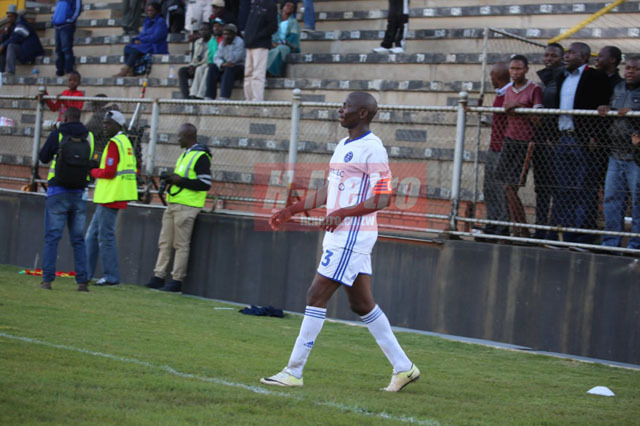 The Dynamos captain said his absence at Rufaro was a result of illness. The Premiership giants played Mushowani and Buffaloes as they continued with preparations for the 2018 season. “I was not feeling well that’s why I was not available. But it is not very serious. That explains my absence nothing more,” he said. Mushure has shown great loyalty in the past years despite getting a raw deal from the club. He accepted to continue training with the team despite being one of the players owed a lot of money by the club. Other senior players Tichaona Chipunza and Masimba Mambare waved goodbye. Although Dynamos are still strong on paper, financial instability could still affect them, leading to a poor season. The left back referred questions on money to management. He was however quick to point out that DeMbare are strong. “Yes, we lost a few senior players but we also added very good new players. I think we are strong enough to achieve anything in the coming season. “The preparations have been going on very well and I think by the time we start the league matches, we will be in better shape,” he said. Last season Mushure was played more in left midfield and scored crucial goals for the club. That change in position however meant that Emmanuel Mandiranga and Mambare ended up playing cameo roles while Cleopas Kapupurika was accommodated on the other wing. Given that young left back Romario Matova has done enough to show he is ready for the stage, Mushure could see himself playing in an advanced role again in some matches. “It will all depend on what the coaches want. After all it is good to have depth in the team. There are some games that may need experience in left back and the fact that he is doing well as well means that there is always good cover when I’m not there. It makes us a good team that way,” Mushure said.